In Massachusetts, 26,000 – 30,000 PCAs work for approximately 20,000 employers. 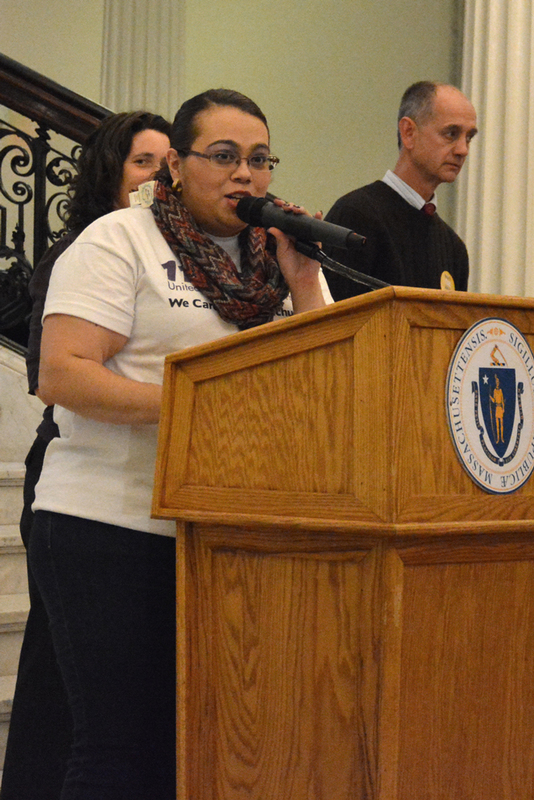 This program directly affects over 50,000 people in MA, either by giving them independence, or by giving them a job! It’s a win-win program. 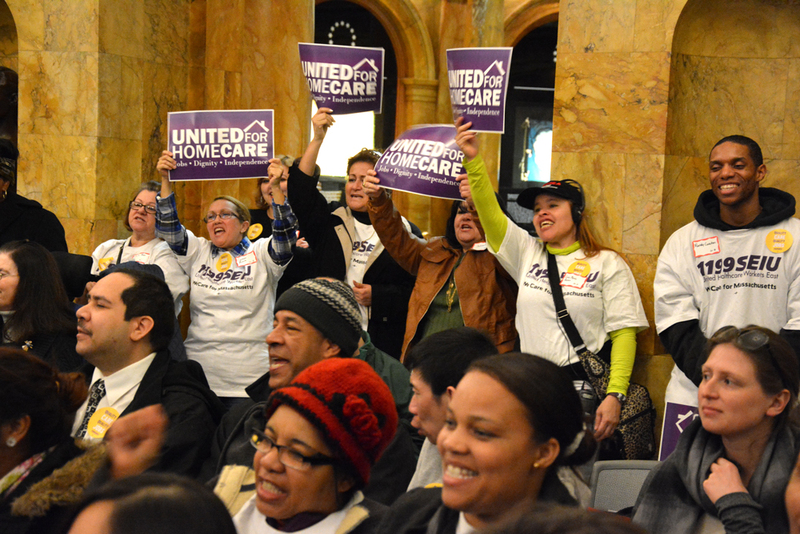 The Personal Care Attendants Program is still evolving in Massachusetts. The basis of the Personal Care Attendants program is that the person with a disability is the actual employer of their PCA. The employer determines when their PCA comes, and the employer determines exactly what they need the PCA to do. The employer hires, and fires, and fills out time sheets. In the past, employer had to find PCA's on their own. In Massachusetts, Mass PCA Directory provides an online mechanism for both finding a PCA and finding a PCA job. Follow the MA PCA Directory on Facebook at facebook.com/MassPCA . And visit our For Consumers page for advice on being an employer. In most cases, it costs less for people to live in their own homes than to live in nursing homes, yet (see below) an institutional bias exists and some states do not have reimbursements for PCAs. National Public Radio reported on this issue in December, 2010. "I've learned that being forced into a nursing home can threaten your quality of life at any age. If I had been less assertive, my life would've been destroyed by a handful of people who had no legal guardianship but felt that my need for personal care assistants gave them the authority to control my life. Having a disability doesn't mean a death sentence from participating in the world alongside everybody else." The 2009-2010 graduates of the 1199SEIU PCA Leaders in Training Program compiled a handbook for PCA's. Download the handbook in English: pca_handbook_english.pdf or in Spanish: pca_handbook_spanish.pdf. In order to be eligible for services, a MassHealth member must require physical assistance in two or more Activities of Daily Living, and have approval from a medical doctor or nurse practitioner for PCA services. Member contacts or is referred to a Personal Care Management Agency (see below). PCM completes initial evaluation to determine if member qualifies for PCA services and determines requested hours of service. RN and Occupational Therapist go to member's home for initial evaluation. Member, licensed physician, OT and RN all sign the initial evaluation. PCM sends initial evaluation to MassHealth Prior Authorization Unit (PAU). PAU reviews evaluation and decides whether to approve, modify or deny requested service hours. MassHealth informs member, PCM and Fiscal Intermediary of decision. Once hours are approved, member (or surrogate) works with PCM to develop the service agreement, outlining roles and responsibilities and back up plans. Member works with the Fiscal Intermediary (see below) to enable member to pay PCA's with MassHealth funds. As part of the consumer agreement, member selects either consumer-delegated or consumer-directed option for PCA services. With PCM/FI training, member recruits, interviews, selects, trains, schedules, pays and fires PCAs. Medicaid reimburses states (via MassHealth in MA) for a percentage of PCA services, but these services are defined as an optional (i.e. some states do not choose to provide PCA services - Nursing home care is guaranteed to all Medicaid recipients who cannot afford it, and states HAVE to pay a percentage. This difference is the "institutional Bias" of the Medicaid system.) The optional tag also means that states can cut back or eliminate an existing program, making every budget cycle an opportunity and requirement for activism and advocacy! MassHealth is the state provider of Medicaid, and provides the money for PCA services for people with low income. People with disabilities who are above the maximum income get the same services by paying into Common Health. Fiscal Intermediaries, such as Cerebral Palsy of MA, Stavros and Northeast Arc collect timesheets, and pay PCA’s with the money from MassHealth. All PCA’s get the same hourly wage. The latest player in this complex system is the 1199 SEIU (Service Employees International Union). Some PCAs are members of this union. SEIU negotiates contracts with the state, and union members receive negotiated benefits. 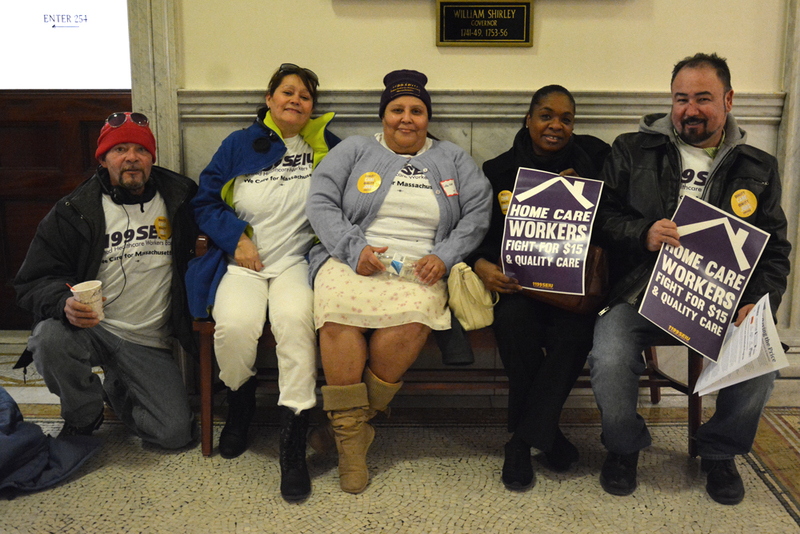 The consumer/employer is represented in bargaining by the Personal Care Attendant Workforce Council (http://www.mass.gov/pca/).